We are holding a week-long (November 16 - 20, 2015) workshop on open-source Python codes for gamma-ray astronomy at MPIK Heidelberg. Python has become the most popular programming language in astronomy (see "Software Use in Astronomy: an Informal Survey"). This is also the case in gamma-ray astronomy, where most open-source analysis codes are Python-based or written in C/C++ but have a Python interface. Open-source Python tools can serve as the glue that brings together data from various gamma-ray telescopes (e.g. Fermi, H.E.S.S., VERITAS, MAGIC, HAWC, CTA, INTEGRAL ) as well as astrophysical modeling codes. to provide training in using and contributing to these packages. The focus will be mostly on high-level science tools and methods (gamma-ray source spectrum and morphology analysis and modeling), but there will be a group of people working on lower-level analysis (data calibration, event reconstruction) as well. Note that this workshop is not a Python 'boot camp' or 'school'. We expect participants to have already used Python for at least some of their projects, even if only at a beginner level, and to have an interest to contribute to open-source projects. The workshop will start with a series of plenary overview talks on Monday. At the end of the day we'll have a discussion on the goals for the workshop and beyond. There will be parallel tutorial and unconference sessions on Tuesday, Wednesday, and Thursday. On Friday we'll have plenary lightning talks and a workshop summary session in the morning. There will be open-end unconference sessions in the afternoon for those that have time to stay for the whole day. What is an unconference session? We expect participants at this workshop to have very diverse skills (Python coding and data analysis/modeling experience) and interests (e.g. gamma-ray source SED modeling or Cherenkov telescope event reconstruction or ...). Making everyone sit in the same tutorials would not be effective, and coding sessions only work in small groups anyways. Therefore, you can decide yourself if you want to attend tutorials, or if you prefer to organise or participate in an "unconference session" (e.g. discussion, planning, coding). In order to facilitate this we will provide a board during the whole conference where everyone can propose "unconference sessions" or put his/her name down for an already planned session. We will assign desks/rooms. At the end of each day each group will give a few-minute summary. On Monday we'll have a series of introductory presentations to give everyone an overview, and a discussion section at the end of the day. Note that for several of the presentations, we have scheduled follow-up tutorials that are more in-depth and hands-on later during the week. This schedule only lists tutorials, which take place in the central seminar room (CSR). In parallel the Otto-Hahn and other rooms can be used for unconference sessions. 18:00 Open-end unconference sessions. Pizza at ~ 7 pm. 18:00 End of official program. Meet at 8 pm at Bismarckplatz to go to dinner. In parallel there will be discussion and coding sprint sesssions in the other rooms. On Friday morning we'll have a lightning talk and workshop summary session. You are welcome to stay and participate in unconference sessions in the afternoon. 18:00 Open end? Go for drinks / dinner or movie together? Anyone is welcome to join the workshop. There is no registration fee. Unforunately, we cannot refund travel or accommodation expenses. To register, please fill out the following Google form: Register for PyGamma15. If you're new to Python or git/Github, please spend some time before the workshop and Prepare. If you have any questions, please send an email to Christoph Deil. The workshop starts on Monday morning, so you should travel to Heidelberg on Sunday, November 15. On Friday, the official program ends at noon (12.30 am), so you can take a train or flight home on Friday afternoon. We will still have free coding sprint sessions on Friday afternoon and go for drinks and a movie Friday evening, for those that can stay in Heidelberg until Saturday. The MPIK institute where the workshop takes place is located on a small hill outside of Heidelberg. The route from MPIK to Bismarckplatz (the central place in Heidelberg) is shown here. The trip with bus number 39 from bus stop "Bismarckplatz" to "MPI Kernphysik" takes 15 minutes. In the morning, you can take the bus that leaves Bismarckplatz at 8.43 am and arrives at MPIK at 8.57 am (14 minutes), to be in time for the first session which starts 9:15 am. In case you take the bus at another time, note that only buses directed to Königsthul stop at "MPI Kernphysik". However, you can also take bus 39 in the direction of EMBL or Rohrbach-Süd and get off at "Bierhelderhof", then walk uphill less than five minutes to reach the institute. See bus schedule information. The image below shows a map of MPIK, including the bus stop and entrance gate (building 01), the guest house (buildings 05 and 06), the approximate location of the workshop rooms in building 12, and the direction to the EMBL canteen where we will go for lunch. Upon your first arrival please stop at the entrance gate (building 01) and ask for a visitor pass for the whole week. There is the option to stay at the guest house at MPIK (35 euro per night). The number of available rooms there is quite limited and in case you want to stay there, please contact Peter Eger as soon as possible. In case you want to stay downtown we suggest to look for hotels close to Bismarckplatz. Although, Heidelberg is quite small, so if you don't mind walking a bit you can also stay in other areas such as Bergheim, Weststadt, or even on the other side of the Neckar in Neuenheim. Please contact Peter Eger if you if you have any questions concerning accomodation. If you're new to Python or haven't contributed to open-source project with git/GitHub, please spend some time to learn it before the workshop. The tutorials at this workshop will not be at the absolute beginner level (but not very advanced either). A laptop with a working scientific Python setup (we recommend you to install Anaconda, packages from Linux package managers are often very old). A Github account - it's free. Ideally, you should have successfully run git commit, branch, push, pull, maybe even merge or rebase. Some experience with writing Python functions and classes. You should know what a Python module and package is. The IPython terminal/notebook should be familiar. You should have done some X-ray or gamma-ray data analysis, ideally using a Python script. The tutorials will all list their "requirements for participation" separately. E.g. if you want to participate in the Fermi-LAT data analysis tutorial, you need to have the ScienceTools and FermiPy installed, but this is not needed for the rest of the workshop. If you don't have a scientific Python stack installed on your computer, try it out online at https://try.jupyter.org/ (this uses the Jupyter notbook, formerly known as the IPython notebook) and then to install it on your machine, we recommend Anaconda as a free, cross-platform (Linux, Mac, Windows) scientific Python distribution. 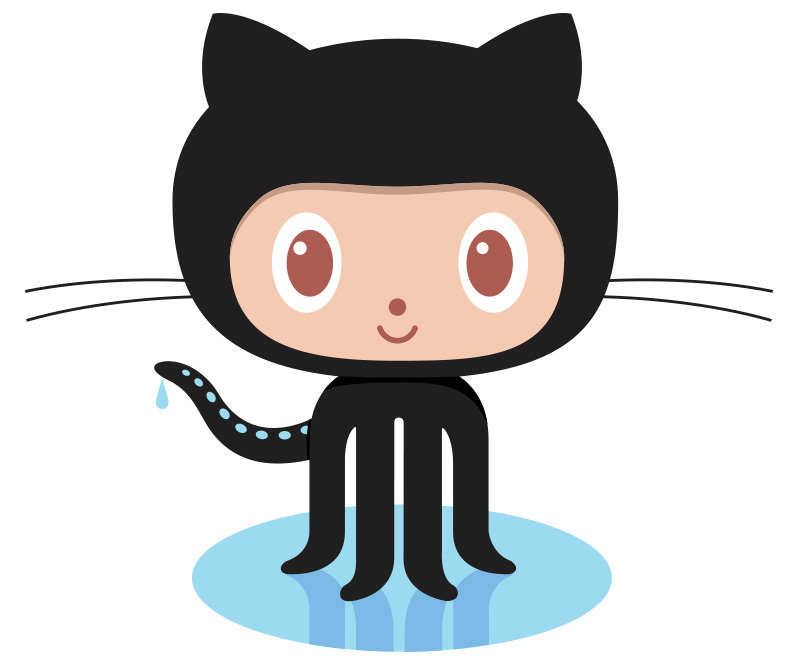 The git version control system and code development on Github. The Github bootcamp help page contains links to excellent tutorials and resources. The Scipy Lecture Notes are a good tutorial to learn about Numpy, Scipy and Matplotlib and scientific Python. The Practical Python for Astronomers tutorials are a good resource to learn about Astropy and specifically the Fitting and Modeling 1-D and 2-D Data tutorial to get started with Sherpa. Since Python is very popular overall, and specifically in Astronomy, there's of course a ton of other free tutorials, books and resources available online, e.g. the Python for Astronomers web site or the Astropy tutorials. If you are completely new to Python, and have time, you can of course read a Python programming book (there's some free books listed here). But it turns out that for effective scientific computing and data analysis, this isn't really needed, and some basic knowledge on functions, classes and modules can get you a long way! Organisers: Christoph Deil, Peter Eger, Axel Donath, Johannes King, Luigi Tibaldo. This webpage and all workshop content is in the PyGamma15 repo on Github.